As matches have lost their usefulness, they have become a collector’s item. 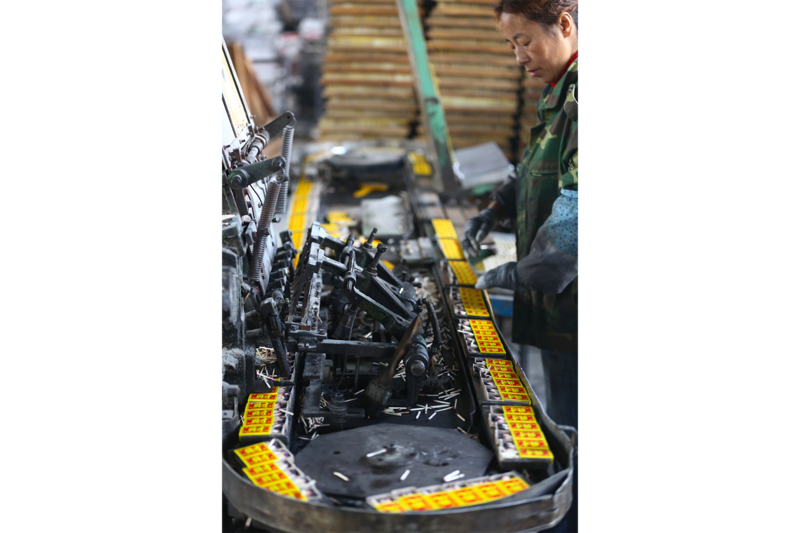 The Yanbian Lucky Star Match Factory is the last match factory in northeast China. Its output has shrunk steadily from the 1980s, when it began producing matches, but its 15 workers are holding fast to their jobs and continuing to pass down the skills of this traditional trade. 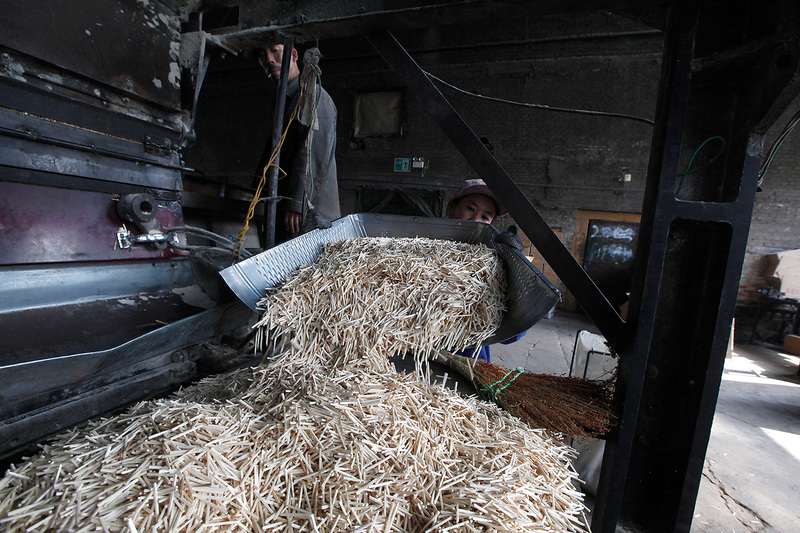 Thousands of matchsticks stand in a machine used to dip them. The quality of the dipping determines the quality of the match. Old workshop equipment and slogans from the 1970s are still on the walls of the Yanbian factory. Workers follow long-used methods amid the thundering of machines. 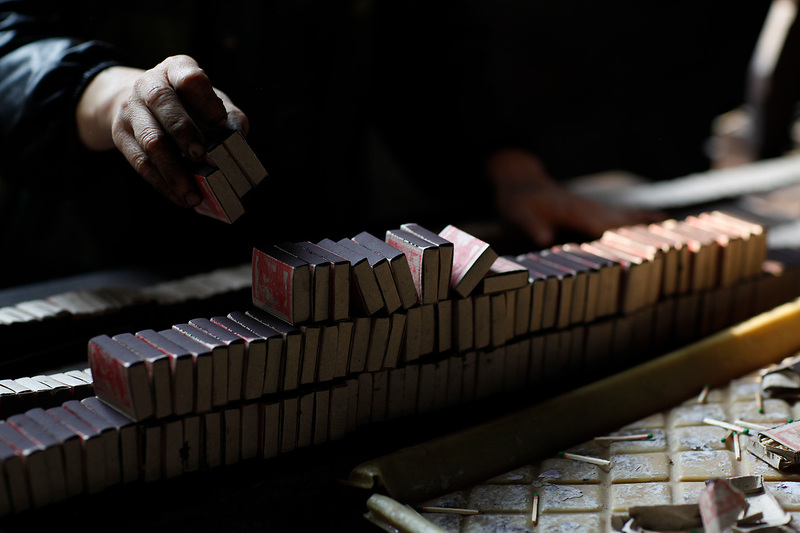 Here, pieces of wood are turned into thin matchsticks, and as they pass through the noisy machines, each is topped with a ‘little red cap.’ A group of workers operates the controls, and packs the finished matches into boxes. 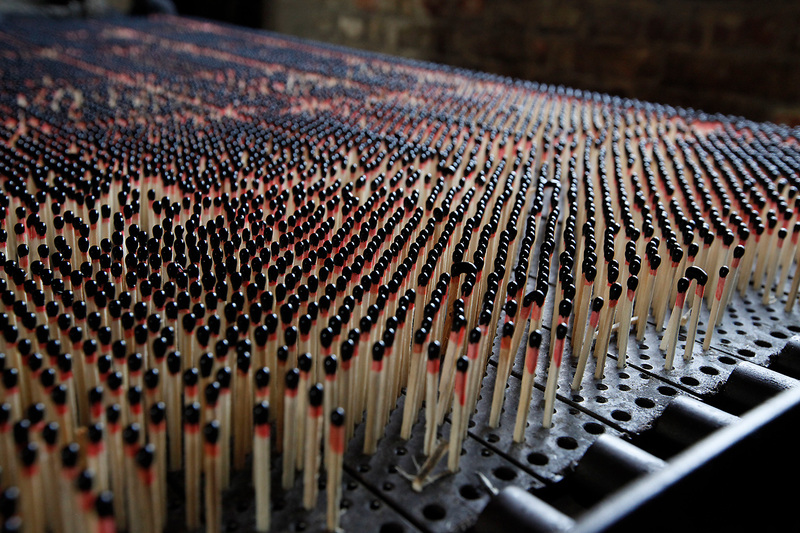 Just-dipped matches are placed in a corner of the workshop. 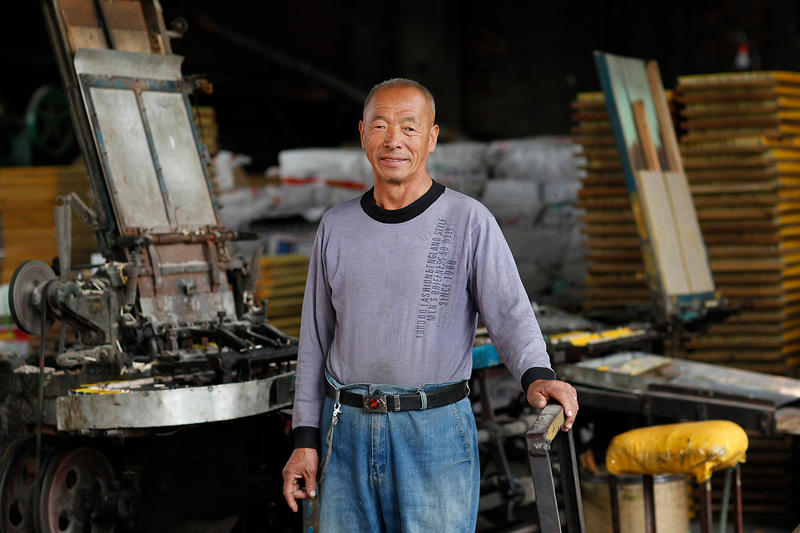 Although he has been officially retired for many years, 72-year-old Sun Guiqin still comes and works as a packer in the factory. 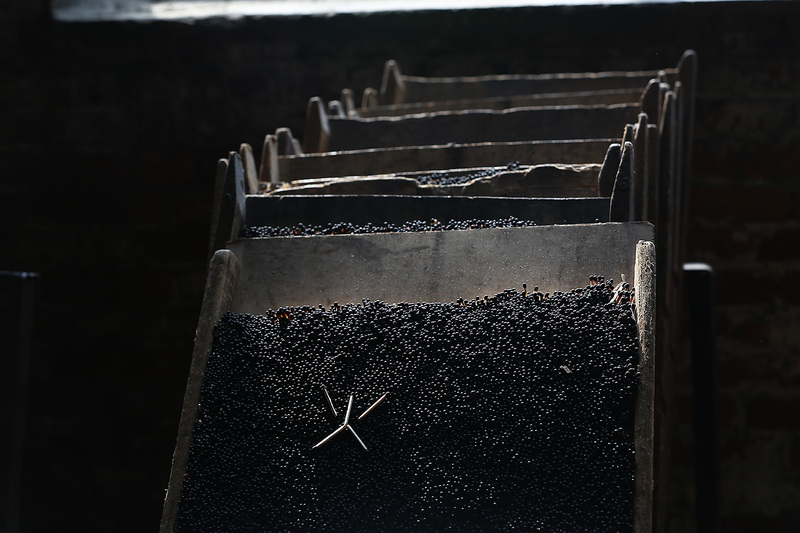 Lu Guangshun began working in the match factory in March 1968. His job was the envy of others in town. Now 73, he says the factory’s heyday was from 1987 to 1997. Lu’s daughter, Lu Ying, center, works at the factory as a machine operator. The matchbox designs from the 1980s were quite different from the current designs. 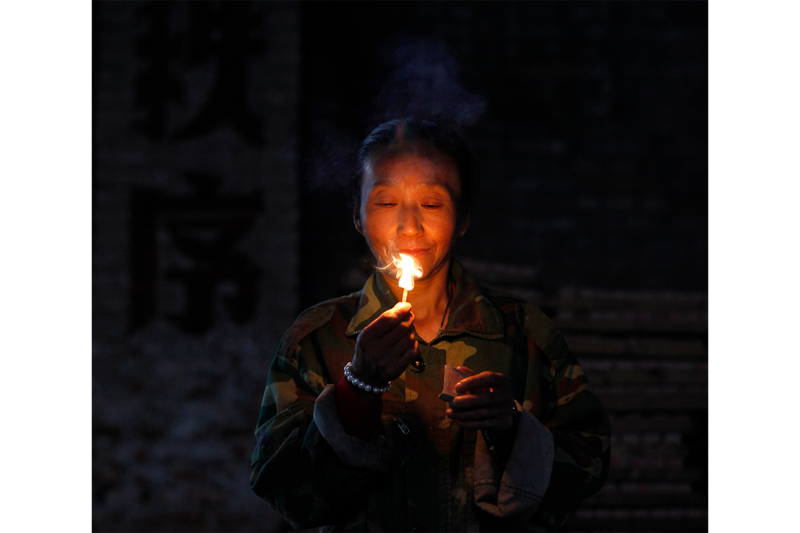 Matches are no longer a daily necessity for most people in China. The only market left is in the countryside. 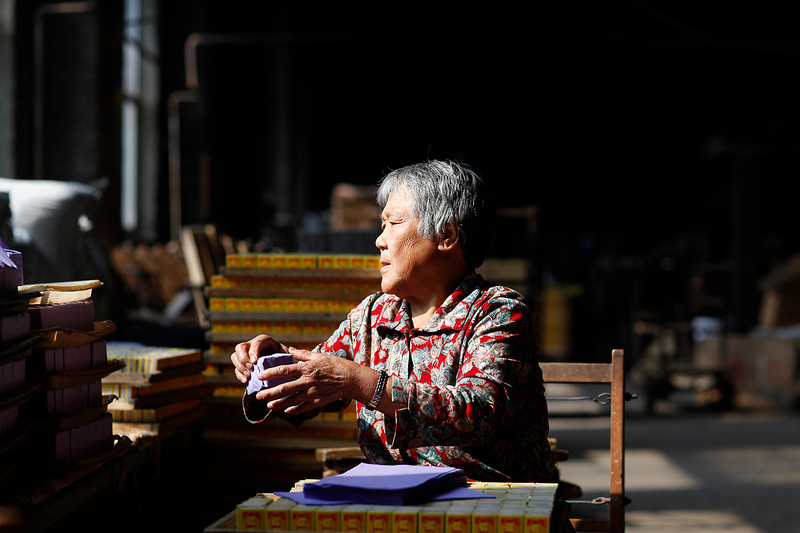 Profits are extremely low, and the Lucky Star Match Factory is the only one left of its kind in northeastern China. A worker processes matches that have just been cut. Most of these machines are so old that they often break down and need frequent repairs. 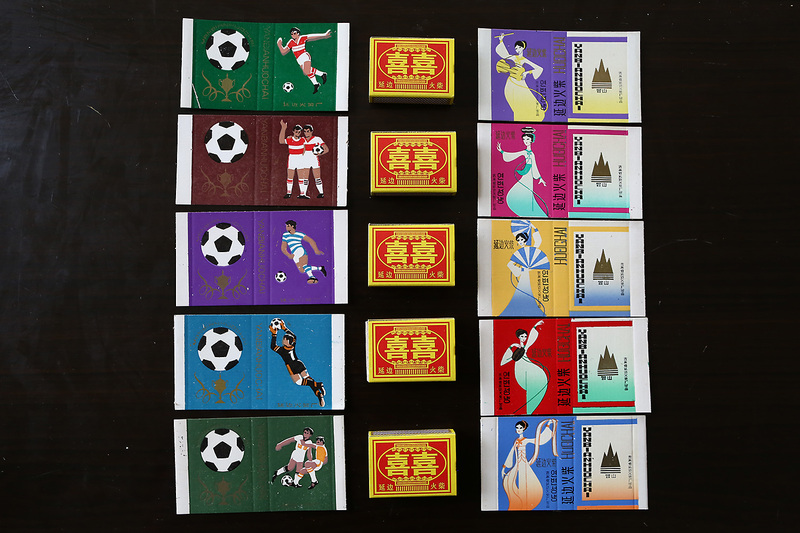 Matchboxes produced by the Yanbian Lucky Star Match Factory. 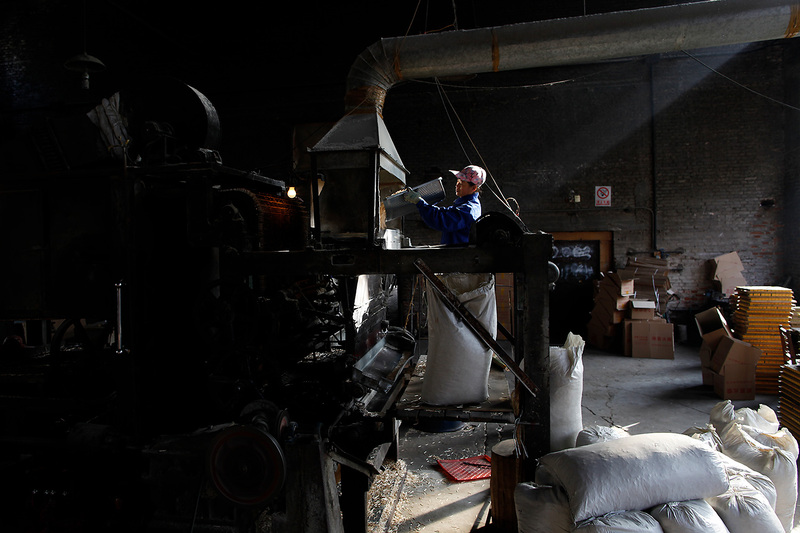 Factory Director Chu Junping, right, works with the old machines. With the factory’s heyday long over, Chu says his business relies on old customers to keep it afloat. Working on the factory line. Li Baojun, 72, has been working on the packing floor for 60 years. Before retiring, Tang Yuzhen was the factory’s trade union chairwoman. She entered the factory as an ordinary worker at 16 and worked her way up to chairwoman, spending her entire youth in the factory. 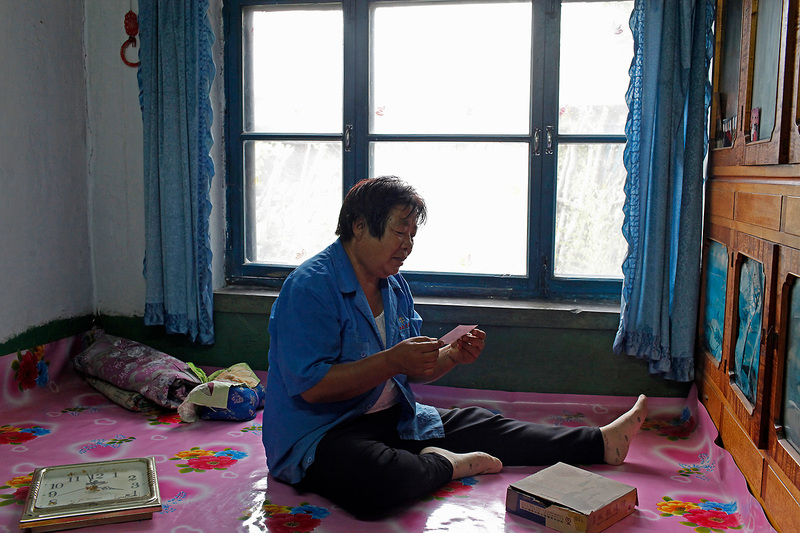 At 68, she is busy organizing her papers, and hopes to write a memoir about the match factory. The factory has employed three generations of workers. Break time at the factory. He Guiling, 43, takes her lunch break. 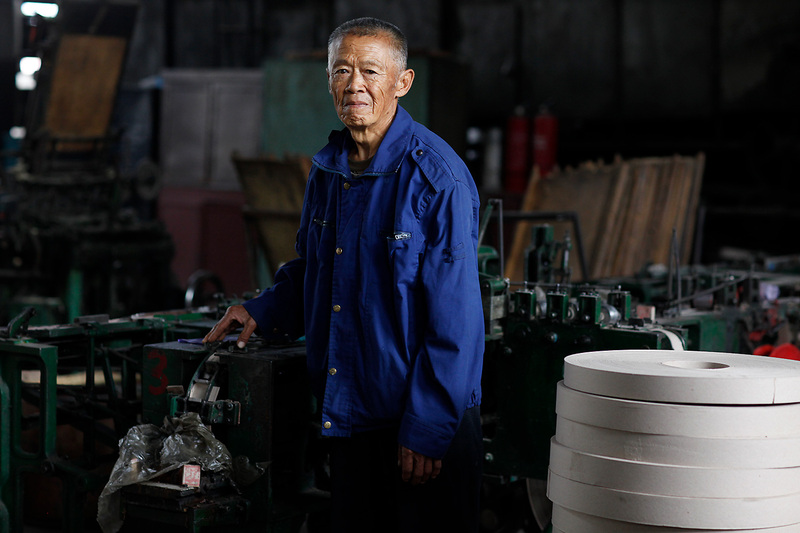 Liu Zhenpeng was among the first group of workers hired by the factory in 1967. 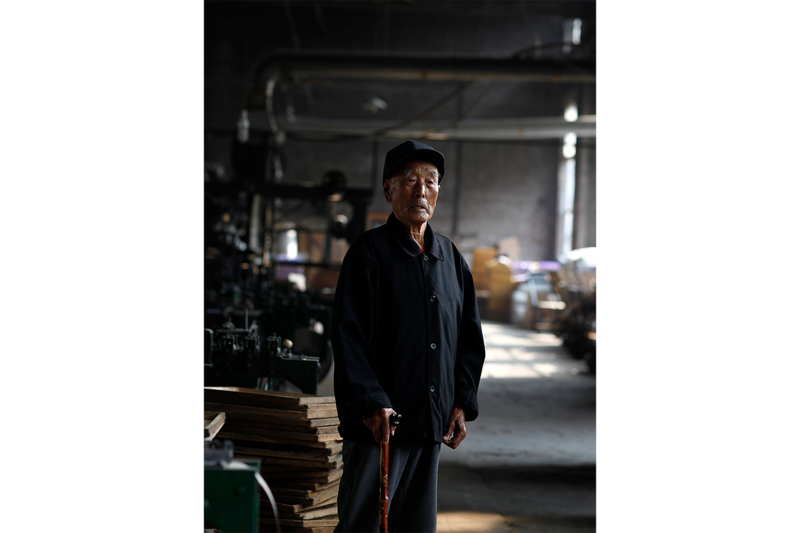 He is now 97, and he worked at the factory for three decades. During its heyday, the factory employed 400 workers. This article was first published in Chinese by Tencent QQ. Walking onto the factory floor, one finds a busy scene amid the thundering of machines. Sections of wood are being turned into thin matchsticks, and as they pass through the noisy machines, each is topped with a “little red cap.” A group of women workers operates the controls with practiced ease, and packs the finished matches into boxes. The matches will then be wrapped by hand and loaded into crates. 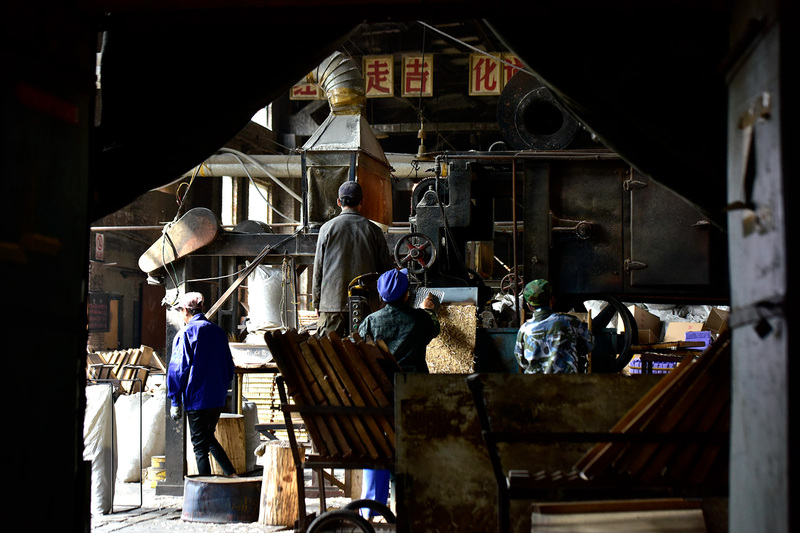 The Yanbian Lucky Star Match Factory in Dashitou township outside the city of Dunhua still has its original equipment, and its walls still display slogans from the 1970s. 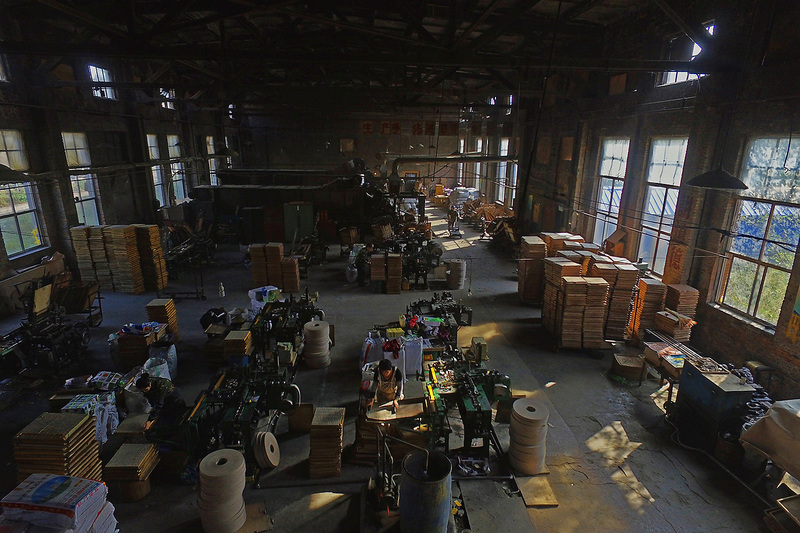 Before the founding of the People’s Republic of China in 1949, there was only one match factory in Jilin province, the Taifeng Jiujinhua Match Factory, a privately-owned factory left over from the Japanese occupation. After 1949, it became a joint state- and privately-owned enterprise. The factory changed its name to the Jilin Match Factory, and was moved to Jilin City, where it was equipped with a complete set of machines and began regular production. At the time, matches were a daily necessity, and therefore were of national importance. In 1965, under the auspices of the provincial Party Committee, ground was broken on a second match factory, on a site of more than 110,000 square meters in Dashitou township outside of the city of Dunhua. Production officially began in February 1967, with an annual production capacity of 600,000 cases and 400 workers on staff. 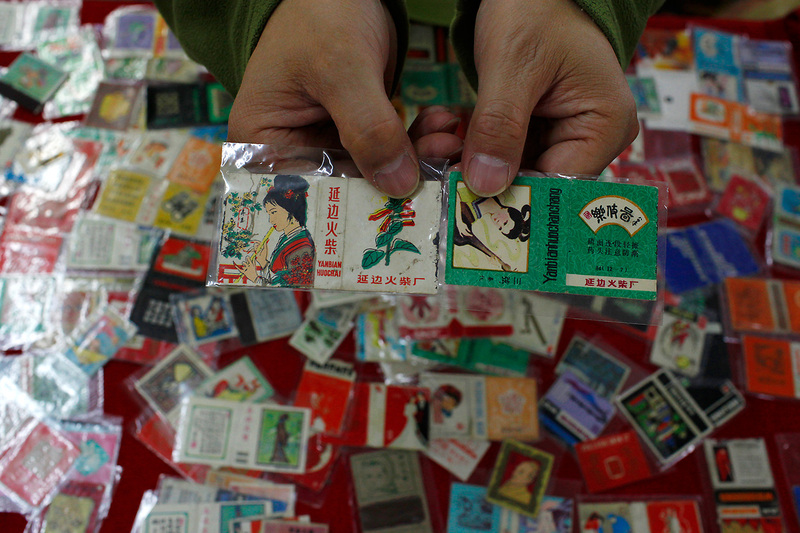 The Yanbian Match Factory, as it was called then, became a household name in Jilin. Today, thanks to electric stoves and cigarette lighters, matches are no longer a necessity of daily life. In the cities, one finds them only in places like hotels and restaurants. They have become collector’s items. The market for matches is now extremely small. The Yanbian Match Factory has partially halted its production. In early 2005, as part of a region-wide industrial reform program, it also underwent a complete conversion, changing its name to the Yanbian Lucky Star Match Factory. Now retired, 97-year-old Liu Zhenpeng says that he was among the first batch of workers hired in 1967. He then worked there for 30 years. His two sons both followed him into the profession and worked in the match factory. After the 2005 restructuring, they left town to look for other jobs. Fifty-one-year-old Chu Jumei entered the factory in 1995, when she married her husband who was already working there. Together they made a decent living. Now, her husband works as a security guard in town, and their life has changed completely. She is still “holding down the fort” at the factory. 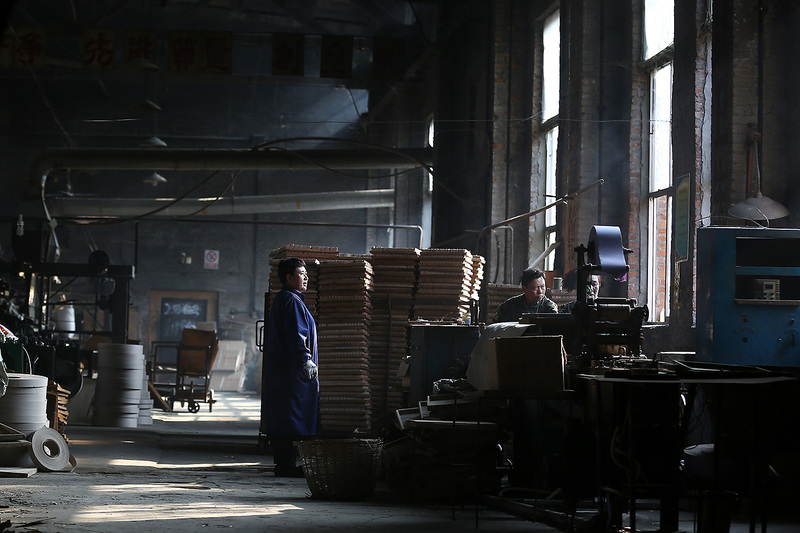 From the day Lu Guangshun began working in the match factory in March 1968, his job was the envy of others in town. Now 73 years old, he still remembers the factory’s heyday, from 1987 to 1997. 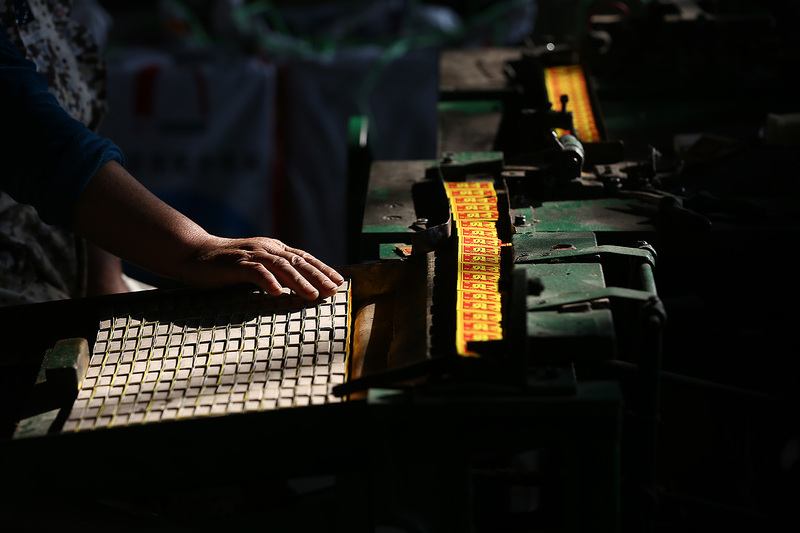 Eight people from his wife’s family worked there, and his 47-year-old daughter Lu Ying still has a job as a machine operator. Before retiring, Tang Yuzhen was the chairwoman of the factory trade union. She entered the factory as an ordinary worker at 16 and worked her way up to chairwoman, spending her entire youth there. 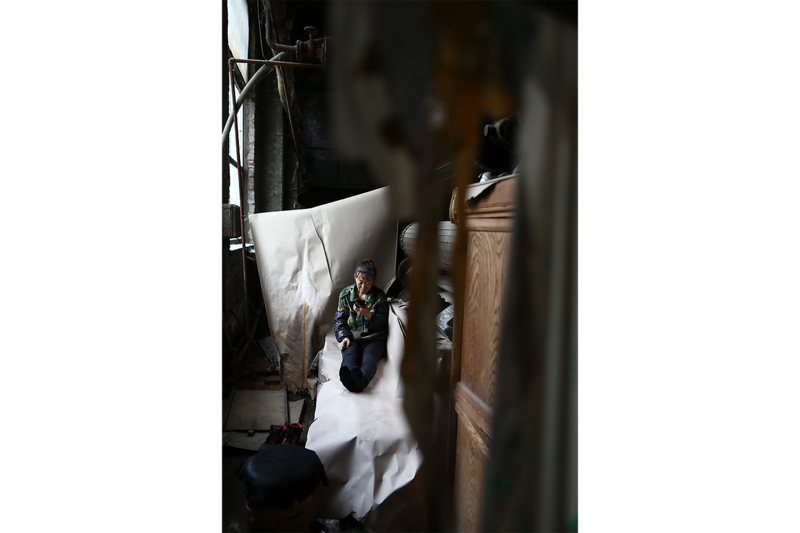 At 68, she is busy organizing her papers, preparing to write a memoir about the factory. Spending time on the factory grounds, one still hears stories about the old days, when society was developing and people’s lives were getting better. 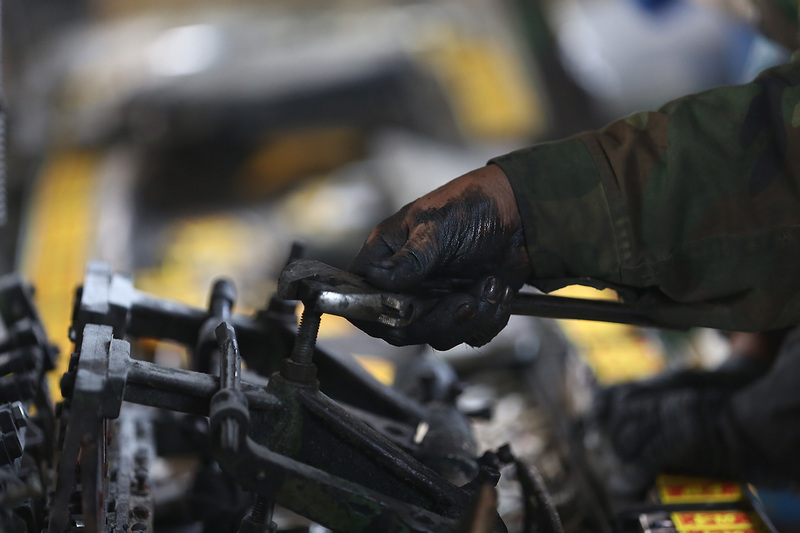 Today, not many people use matches, but for families that have given three generations of workers to the factory, they are objects of special affection. 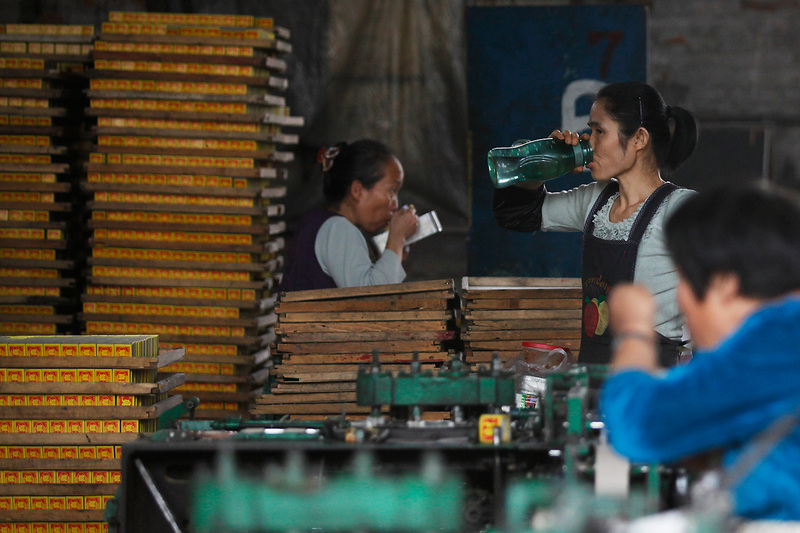 In order to pass on the traditional trade of match-making, the head of the factory, Chu Junping, ignores the rising cost of raw materials and labor, and deals with various financial difficulties to keep production going. He has to rely on old customers to stay afloat. He leads a team of 14 temporary workers who work seasonally from May to October, partly to give them employment and partly because he refuses to give up on the profession. In order to prevent the market from disappearing completely, and to protect its traditional equipment, the factory still employs old technical personnel to ensure proper usage and care of the machines. The factory is always on the verge of bankruptcy. Production is down from 1,800 cases a year to only about 100 cases. But still, Chu holds on: “In a planned economy, the production rates and materials were predetermined, and our products were distributed and paid for by the government,” he says. “Today, people in the cities rarely use matches, and match usage is in a period of continual decline. But people in the countryside still light fires with matches, so we all need to hang in there.” It’s a labor of love, but Chu doesn’t want to be the one to snuff it out. This introduction was translated by Eleanor Goodman and edited and abridged by ChinaFile.